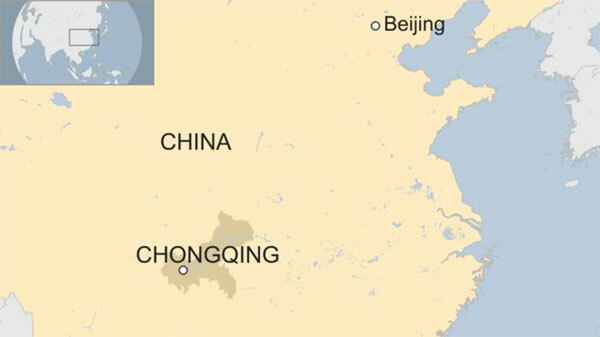 At least 14 children have been injured in a knife attack at a kindergarten in Chongqing, south-west China. Police say a 39-year-old woman carrying a kitchen knife entered the school in Banan district on Friday morning, as the children were in the playground. The motive for the attack is unclear, though some reports on social media say the woman had a grievance against the government. The woman, whose surname was given as Liu, was arrested at the scene. Video circulating on social media shows injured children being led out the school - some of them appear to have knife wounds to their faces. Other footage appears to show police taking the alleged attacker away. Violent crime is relatively rare in China, but it has faced a string of unrelated knife attacks in school and kindergartens in recent years. He reportedly claimed he had been bullied at the school as a child. He was executed in September.